Dr. Gregory Quiroz is a senior scientist at the Johns Hopkins University Applied Physics Laboratory. He is currently interested in quantum control protocols to improve the performance of quantum systems for quantum computation and sensing applications, and the development of quantum algorithms for near-term quantum computing devices. 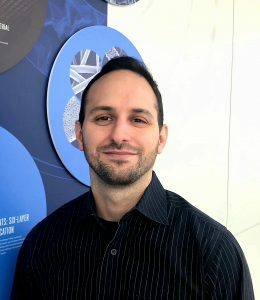 Previously, Dr. Quiroz was a scientist at the Aerospace Corporation, where he aided the Air Force Space and Missile Center in the assessment of quantum cryptography techniques, namely, quantum key distribution, for establishing secure space-to-ground communications. In addition, he worked to develop quantum algorithms for National Security Space applications. 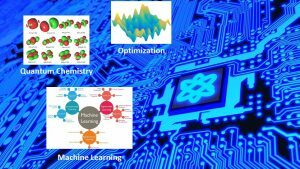 Quantum computing (QC) promises computational advantages over classical alternatives for particular computational problems by exploiting quantum mechanical phenomena. In recent years, QC has become a highly attractive area for research in the academic, commercial, and government sectors, with notable investments from IBM, Google, and a number of government agencies. This push for QC has led to the realization of noisy, intermediate-scale quantum (NISQ) devices consisting of 10s of quantum bits, or qubits. Current NISQ-era devices do not possess the number of qubits, nor the qubit error rates required to reliably implement well-known QC algorithms, such as Shor’s factoring algorithm, and therefore, one of the central questions of has become: what are the potential applications for current and future NISQ hardware that could realize computational gain? Here, I provide a conceptual overview of QC and discuss recent experimental milestones obtained by researchers in the academic and commercial sectors. Lastly, I will discuss potential applications of near-term QC to the field of neuroscience. 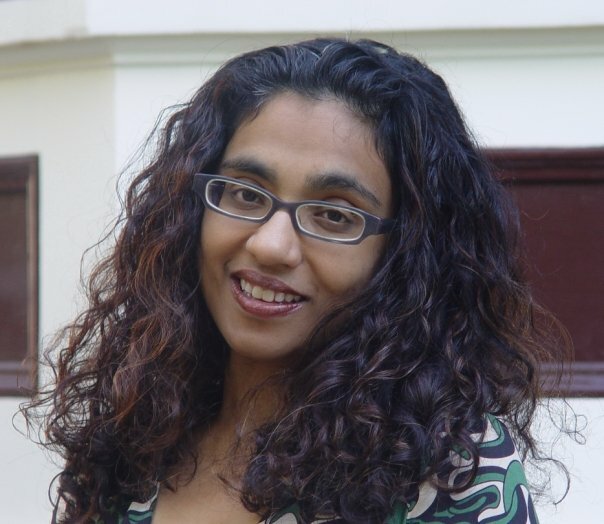 Dr. Smita Krishnaswamy is an Assistant Professor in the department of Genetics at the Yale School of Medicine and Department of Computer Science in the Yale School of Applied Science and Engineering. She is also affiliated with the Yale Center for Biomedical Data Science, Yale Cancer Center, and Program in Applied Mathematics. 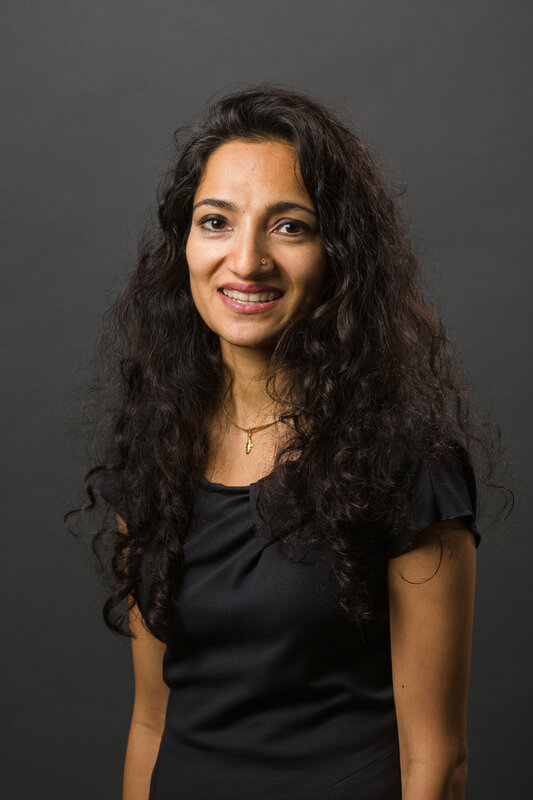 Smita’s research focuses on developing unsupervised machine learning methods (especially graph signal processing and deep-learning) to denoise, impute, visualize and extract structure, patterns and relationships from big, high throughput, high dimensional biomedical data. Her methods have been applied variety of datasets from many systems including embryoid body differentiation, zebrafish development, the epithelial-to-mesenchymal transition in breast cancer, lung cancer immunotherapy, infectious disease data, gut microbiome data and patient data. 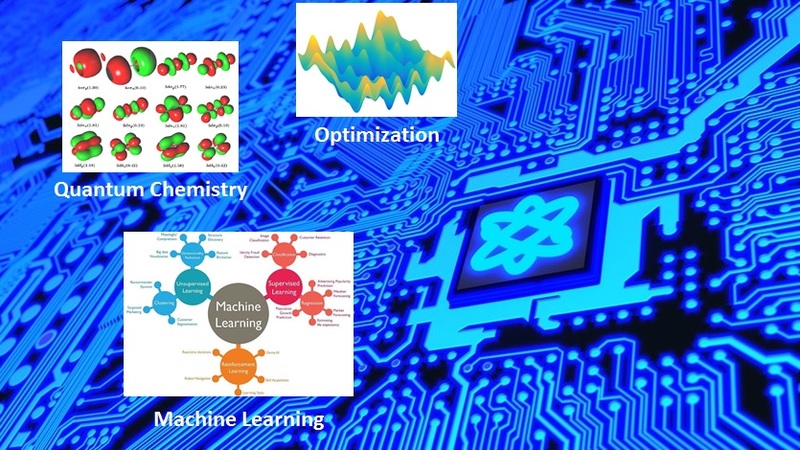 Smita teaches three courses: Machine Learning for Biology (Fall), Deep Learning Theory and applications (spring), Advanced Topics in Machine Learning & Data Mining (Spring). She completed her postdoctoral training at Columbia University in the systems biology department where she focused on learning computational models of cellular signaling from single-cell mass cytometry data. She was trained as a computer scientist with a Ph.D. from the University of Michigan’s EECS department where her research focused on algorithms for automated synthesis and probabilistic verification of nanoscale logic circuits. Following her time in Michigan, Smita spent 2 years at IBM’s TJ Watson Research Center as a researcher in the systems division where she worked on automated bug finding and error correction in logic. Recent advances in single-cell technologies enable deep insights into cellular development, gene regulation, cell fate and phenotypic diversity. While these technologies hold great potential for improving our understanding of cellular state space, they also pose new challenges in terms of scale, complexity, noise, measurement artifact which require advanced mathematical and algorithmic tools to extract underlying biological signals. Further as experimental designs become more complex, there are multiple samples (patients) or conditions under which single-cell RNA sequencing datasets are generated and must be batch corrected and the corresponding populations of single cells compared. In this talk, I cover one of most promising techniques to tackle these problems: manifold learning. 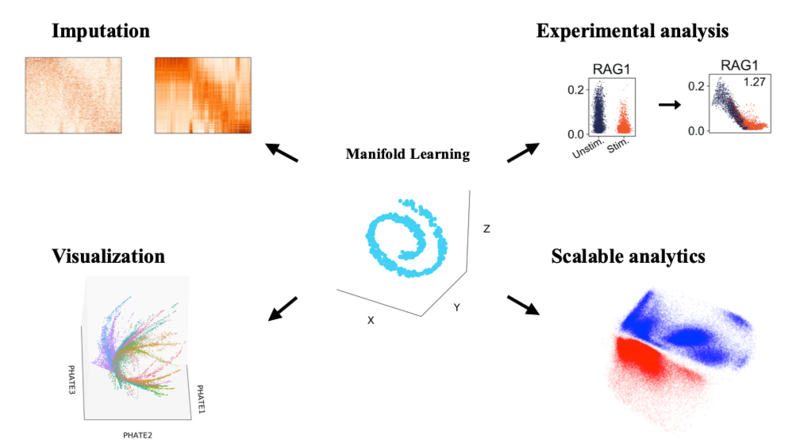 Manifold learning provides a powerful structure for algorithmic approaches to denoise the data, visualize the data and understand progressions, clusters and other regulatory patterns, as well as correct for batch effects to unify data. I will cover two alternative approaches to manifold learning, graph signal processing (GSP) and deep learning (DL), and show results in several projects including: 1) MAGIC (Markov Affinity-based Graph Imputation of Cells): an algorithm that low-pass filters data after learning a data graph, for denoising and transcript recover of single cells, validated on HMLE breast cancer cells undergoing an epithelial-to-mesenchymal transition. 2) PHATE (Potential of Heat-diffusion Affinity-based Transition Embedding): a visualization technique that offers an alternative to tSNE in that it preserves local and global structures, clusters as well as progressions using an information-theoretic distance between diffusion probabilities. 3) MELD (Manifold-enhancement of latent variables): an analysis technique that filters the experimental label on the graph learned from single-cell data in order to boost experimental signal and associated correlations. 4) SAUCIE (Sparse AutoEncoders for Clustering Imputation and Embedding), our highly scalable neural network architecture that simultaneously performs denoising, batch normalization, clustering and visualization via custom regularizations on different hidden layers. We demonstrate the power of SAUCIE on a massive single-cell dataset consisting of 180 samples of PBMCs from Dengue patients, with a total of 20 million cells. We find that SAUCIE performs all the above tasks efficiently and can further be used for stratifying patients themselves on the basis of their single cell populations. Finally, I will preview ongoing work in neural network architectures for predicting dynamics and other biological tasks. Computational Medicine (CM) Night is the Institute for Computational Medicine’s annual networking event for undergraduates and trainees who are interested in academic programs in Computational Medicine and the research conducted in ICM labs. 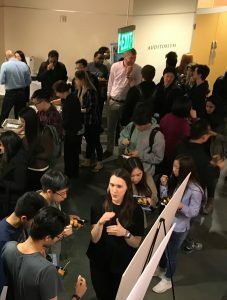 Held each spring term, Computational Medicine Night showcases trainee research and provides a forum for interested students to meet and mingle with ICM faculty, students, and postdoctoral fellows, to gather information, and to ask questions. Register here. Registration deadline: Feb. 26. Dr. Mona Singh obtained her AB and SM degrees at Harvard University, and her PhD at MIT, all three in Computer Science. She did postdoctoral work at the Whitehead Institute for Biomedical Research. She has been on the faculty at Princeton since 1999, and currently she is Professor of Computer Science in the computer science department and the Lewis-Sigler Institute for Integrative Genomics. Her group works broadly in computational molecular biology, as well as its interface with machine learning and algorithms. Her group is especially interested in developing methods for predicting and characterizing protein specificity, interactions, and networks. She is a Methods Editor at PLOS Computational Biology, has been program committee chair for several major computational biology conferences, including ISMB (2010), WABI (2010), ACM-BCB (2012), and RECOMB (2016), and has been Chair of the NIH Modeling and Analysis of Biological Systems Study Section (2012-2014). She received the Presidential Early Career Award for Scientists and Engineers (PECASE) in 2001, and is an ISCB Fellow. A major aim of cancer genomics is to pinpoint which somatically mutated genes are involved in tumor initiation and progression. This is a difficult task, as numerous somatic mutations are typically observed in each cancer genome, only a subset of which are cancer-relevant, and very few genes are found to be somatically mutated across large numbers of individuals. In this talk, I will demonstrate that molecular interactions and networks provide a powerful context within which to interpret cancer mutational data. First, I will introduce an analytical framework to identify genes whose interaction or other functional properties are preferentially perturbed in cancer genomes. Next, I will show how to leverage per-individual mutational profiles within the context of protein-protein interaction networks in order to identify small connected subnetworks of genes that, while not individually frequently mutated, comprise pathways that are altered across (i.e., “cover”) a large fraction of individuals. Overall, these methods recapitulate known cancer driver genes, and discover novel, and sometimes rarely-mutated, genes with likely roles in cancer.